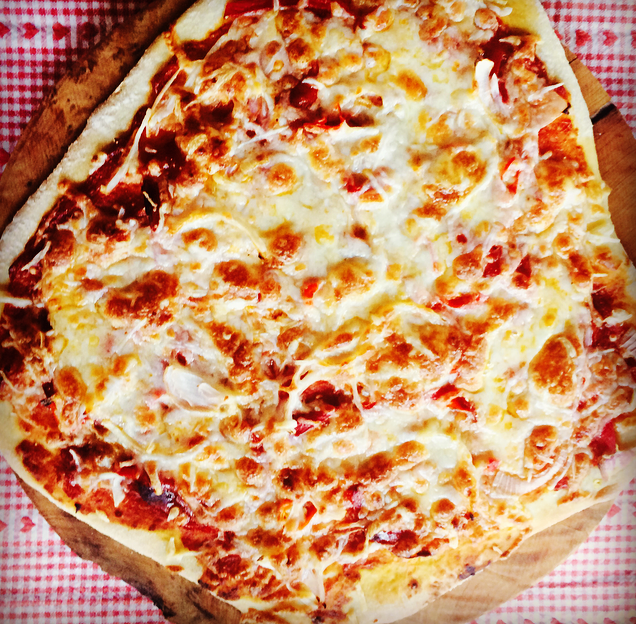 This wee I had a go at making my own pizza base, using Jamie Oliver’s recipe and an extra few tips from a friend. I added Olive oil into mine, to make the base a little bit more crisp it worked well. 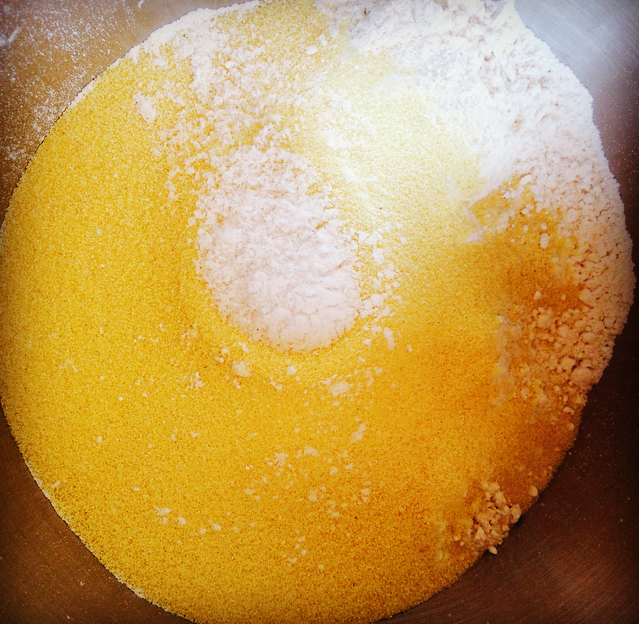 Mix the two flours together with the salt. Add the sugar and yeast to the water a mix well. Let stand for a few minutes. 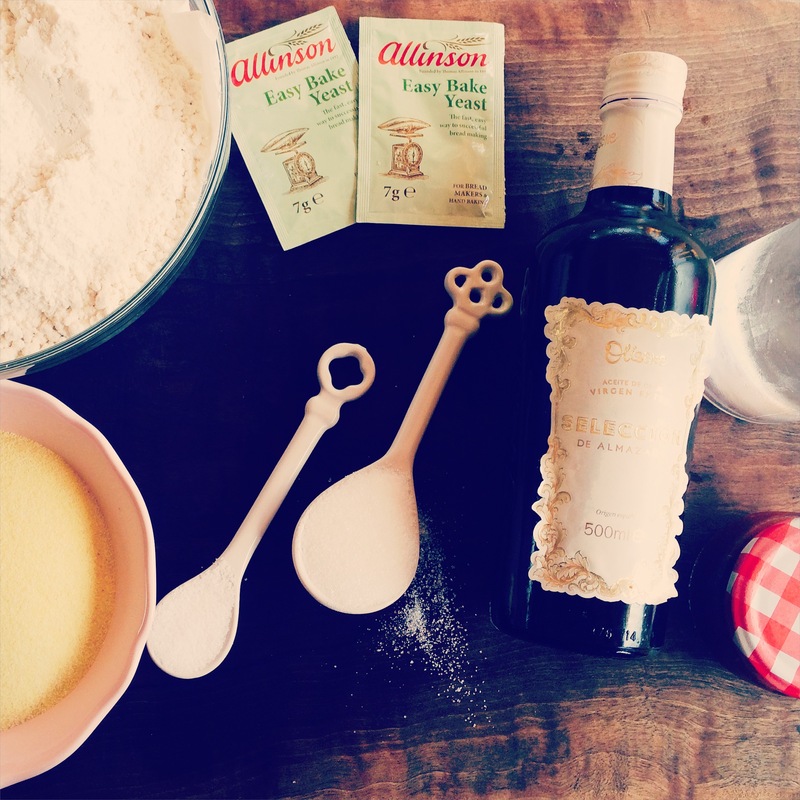 Make a well in the flour mix and pour in the oil and the water. I used a kitchen aid , but you can follow Jamie’s method. 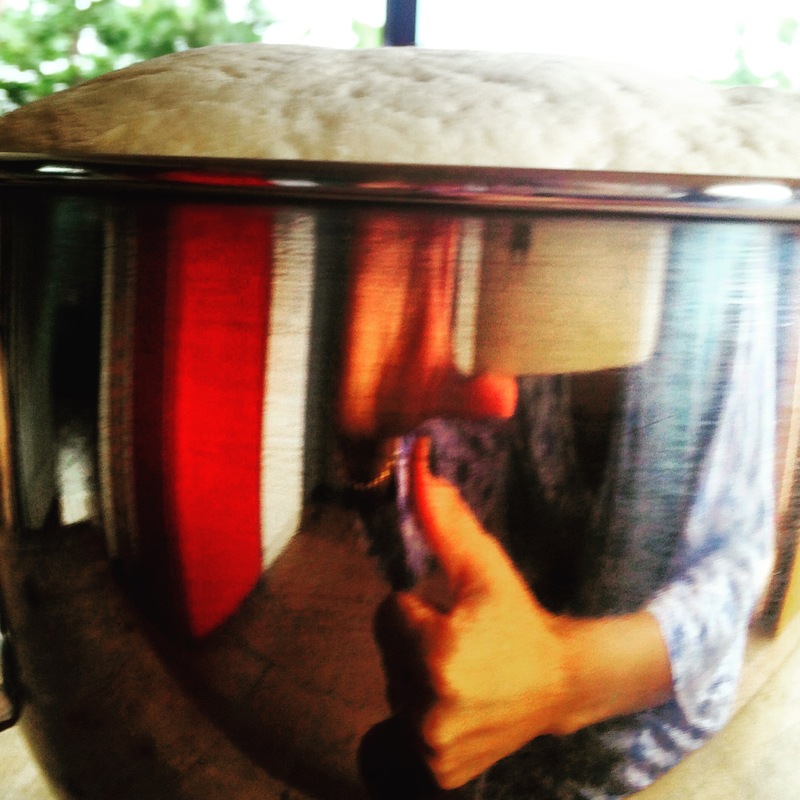 On medium setting and using the hook let the dough come together, once it does turn up the speed and let it knead for around 8-10 minutes until the mix is away from the sides of the bowl and a smooth dough is created. 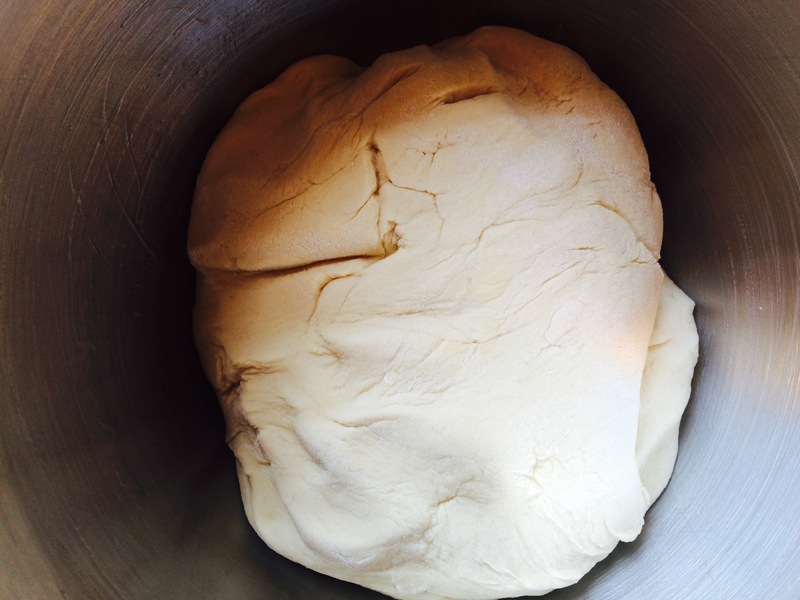 Once you have a smooth elastic dough pop into a greased bowl and cover with damp muslin cloth and leave to rise for around 45 minutes. 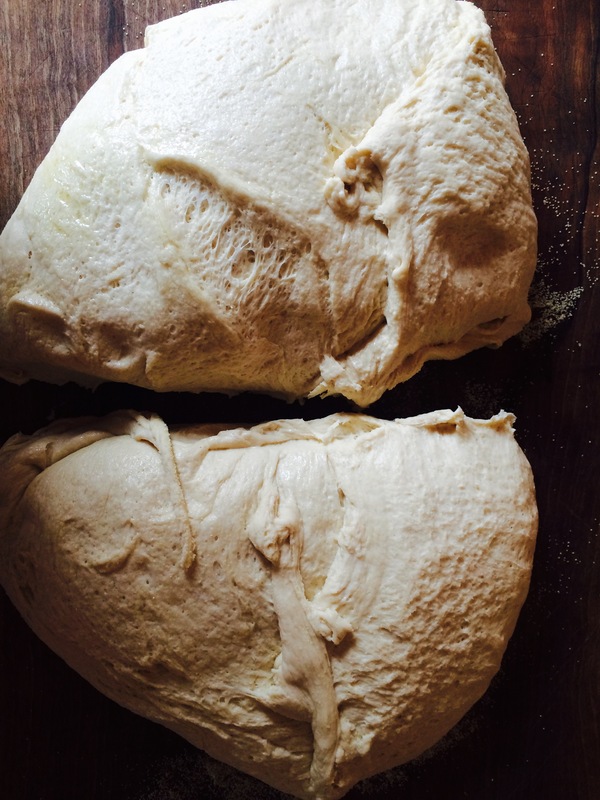 I was very excited when i looked back at the dough after this time…. 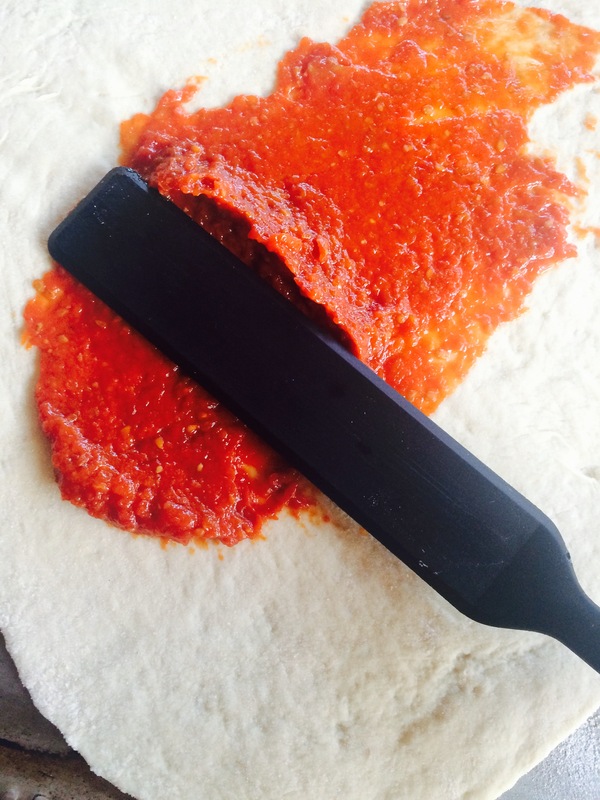 Now if you do not need 8 pizza’s then cut the dough in half wrap very well with cling film and pop in the freezer. Cut the other half into four, wrap with cling film and leave for another 15 minutes. Heat the oven to the highest temperature. 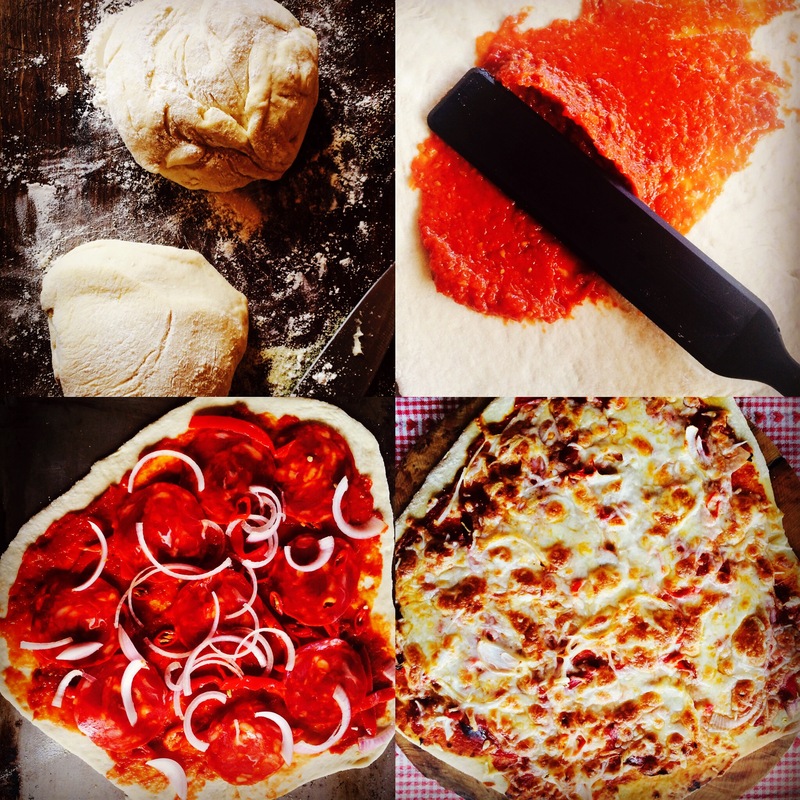 While the dough is rising again get your toppings ready. 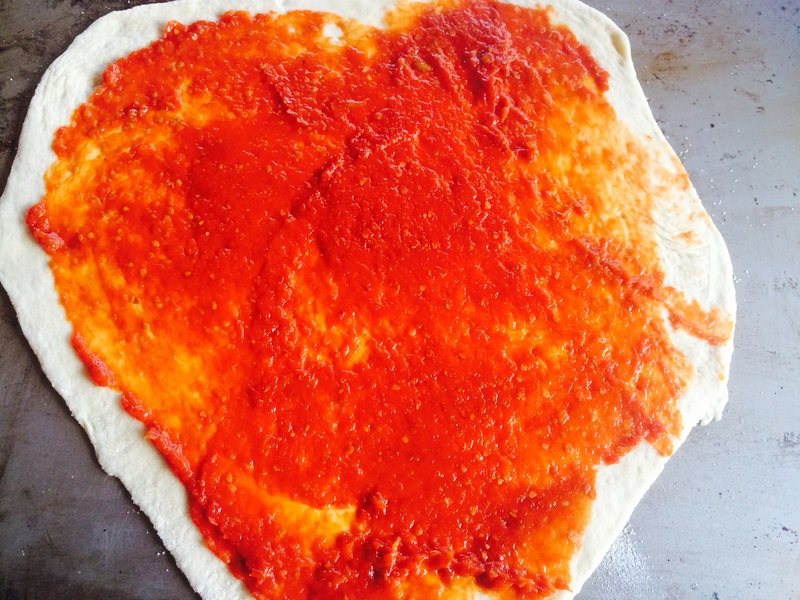 I use my tomato paste on these and it tasted great, click on photo to take you to recipe…. 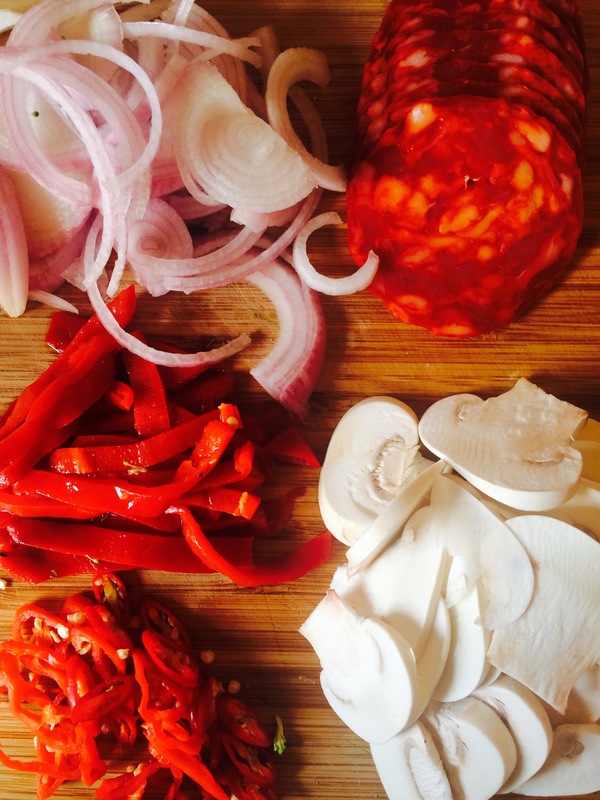 I sliced red onion from the garden, a bishop crown chilli and a red chilli, some mushrooms, roasted red peppers and sliced chorizo.. Roll your base out, it does not have to be perfectly round, we like rustic!! 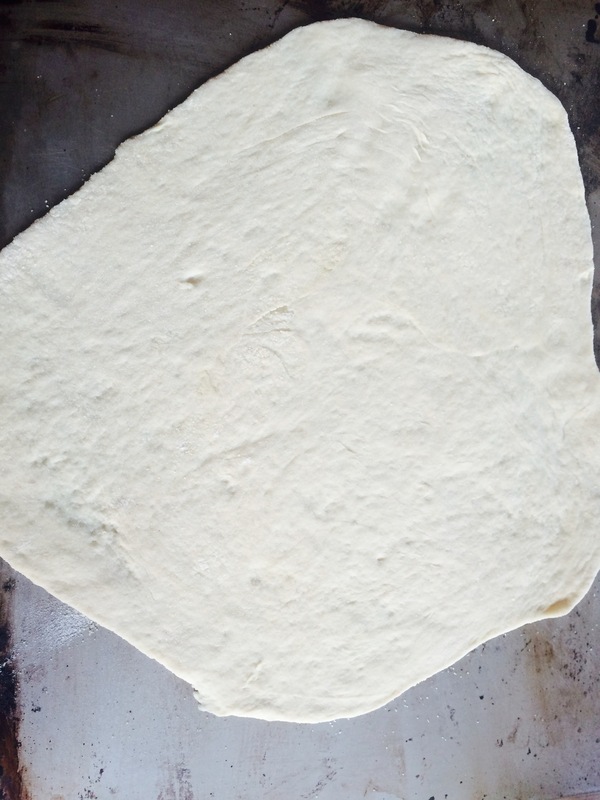 Then on a greased baking tray carefully place the pizza base ready to top. Spread on a good helping of the tomato paste. 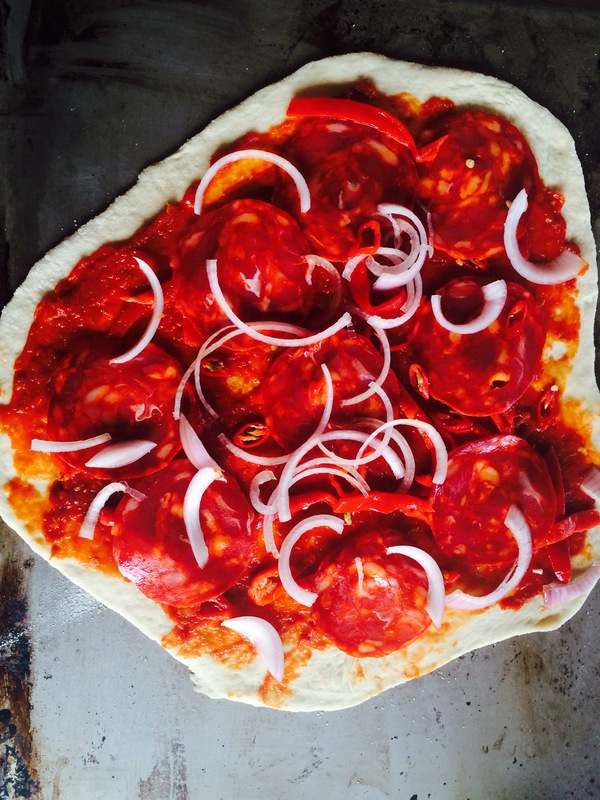 Top with the onion, chillies, peppers, chorizo…. 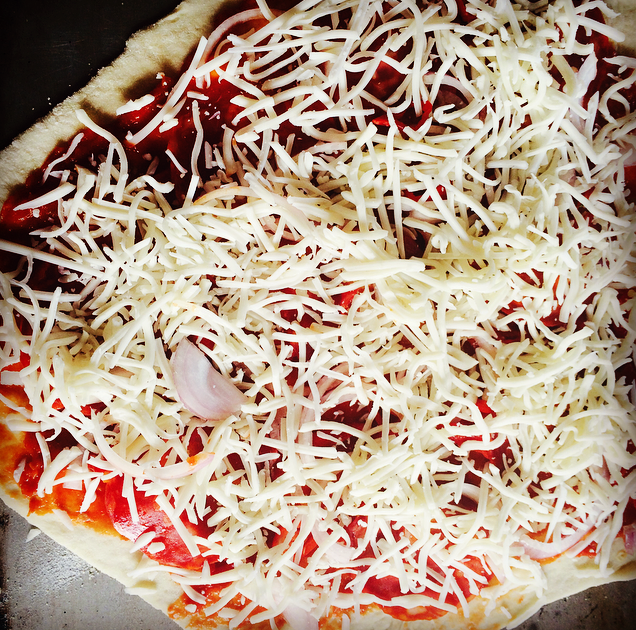 Place in the oven for 10-15 minutes depending on how you like your pizza cooked. 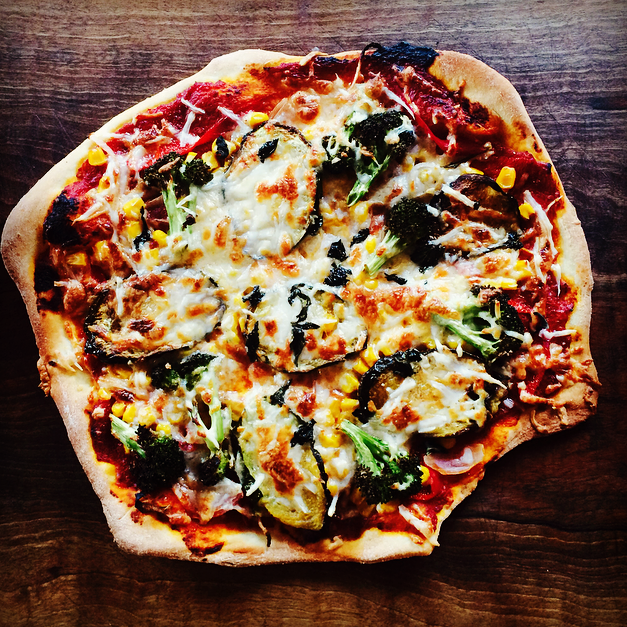 What was great about this pizza was the sweetness from the bishop crown chillies, but also heat from the red. 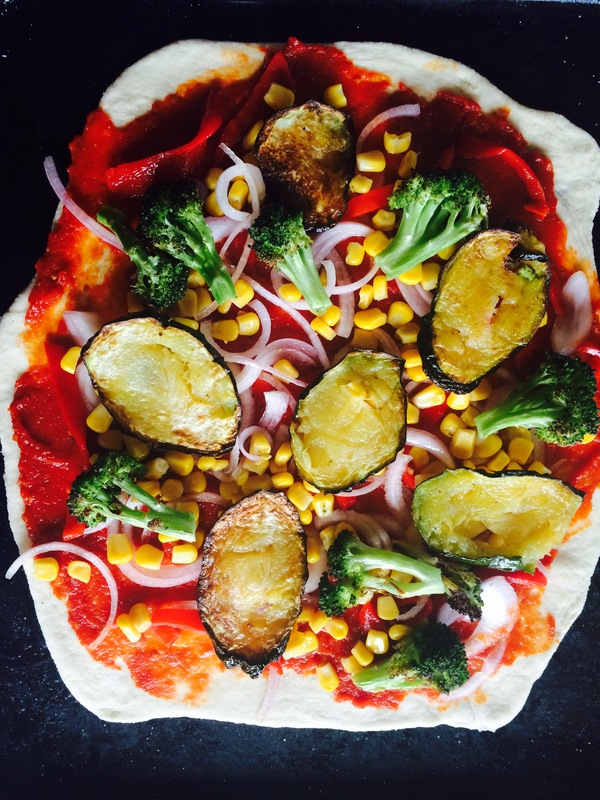 I also made a veggie pizza, by roasting broccoli and courgette first then adding to the pizza with the roasted red pepper, sliced onions and sweetcorn.. I use my tomato paste on these and it tasted great. Top with the onion, chillies, peppers, chorizo. Then lots of mozzarella cheese.